C For Control, as Siren Visual call it, is an anime series based around the concept of money and what it means to have it. While beginning to write this review, I have to admit that I had a hard time working out what this series is actually called. The spine of the DVD case reads like this: “The money of control and Possibility CONTROL” and the Wikipedia entry on the series reads as this: “[C]: The Money of Soul and Possibility Control”. So I settled on what it says on the Siren Website for the titling. The story of C For Control focuses around the Financial District, a realm linked to reality that is run by the Midas Bank. What makes the Financial District interesting is that it serves as a way for selected individuals to make large amounts of money quickly through Deals. Now, what makes Deals interesting, is that they aren’t your standard business deals. They are, rather, more closely resembling battles to the death… only without the death. The main character, Kimimaru, is brought to the Financial District by a representative of the Midas Bank and is suddenly found to be in possession of a large amount of wealth. However, to gain access to this wealth he must first offer up his future as collateral for gaining the money from the bank. In the Financial District, he is not alone. There are many other Entrepreneurs like him with access to the bank. 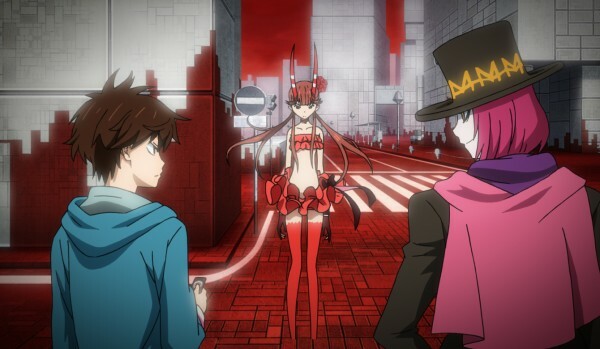 Initially, this series looks like your traditional battle monster Anime series with money as a central theme. However, to my surprise, battles in this series were used sparingly and the series focused largely on the overall plot. I actually liked the way the plot progressed in this series, and with the exception of one major hiccup (there’s a sudden jump from one plot to the next around halfway), it was told pretty well. I liked the way that there was a smaller plot-line that got the main character to investigate further into the Financial District, I liked how there was a plot about the effects of Midas money on the real world economy and I liked the personal character plots that were told throughout the story. Ultimately though, the story was really about the philosophy behind living. You can live to make lots of money, thus ensuring you can always live. Or you can live, but you will always ensure that you will be almost out of money. It’s these kinds of comparisons that make the story both personable and great. Of course the best medium would be to find a way to make lots of money without making your life about working, but for most of us, that is highly unattainable. This is the motivation behind most of the supporting cast in the Financial District, they need that little bit of extra cash to ensure their futures are as bright as possible. But what’s it mean when you bank against that future and you lose all of your money? Should your future then be taken away from you? Can the bank then take anything you’ve earned with its money in regards to a metaphysical future? Apparently yes. You see this happen in the series as well with characters going missing, areas becoming disheveled and not only has the country gone into depression, so has life itself. Overall the story in C For Control is layered pretty well. Not only does it have story branches personal to the characters in the main cast, but it also has an overall storyline that raises many philosophical questions. As an aside, you also learn a little about money and economics. Visually speaking C For Control has a pretty decent looking art design, especially when it comes to the Entrepreneurs battle partners and some of the character designs, however it does have moments where things look a little off. Most predominantly of these moments are anytime the bank dude with the pink hair appears. I’m not entirely sure what it is with the guy that looks a little bit like Michael Sheen (much like his performance in Tron: Legacy) with pink hair, but in most instances he looks like he was CGI’d over the top of the show post-production. 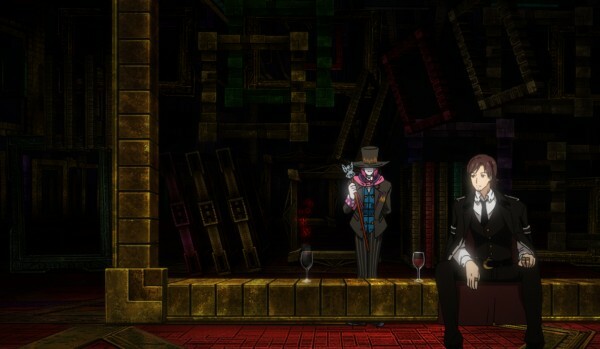 This is because he appears to be moving at a much more fluid rate than the cast, as well as having a shadow that appears to be of an entirely different type in comparison to the rest of the cast. This stylistic choice has been an odd one, as it makes the character seem out of sync with the rest of the series, bringing the overall quality down instead of up. The Financial District itself offered a nice visual opposite to the real world in that it was much more bland, but still much more interesting. Many of the characters refer to it as a reflection of our own world, but I don’t quite see it. If anything it’s bringing attention to the bareness of reality by having itself be visually bland. Overall, the visuals in C For Control were quite enjoyable, however, there was the small issue of a major character looking completely out of place. 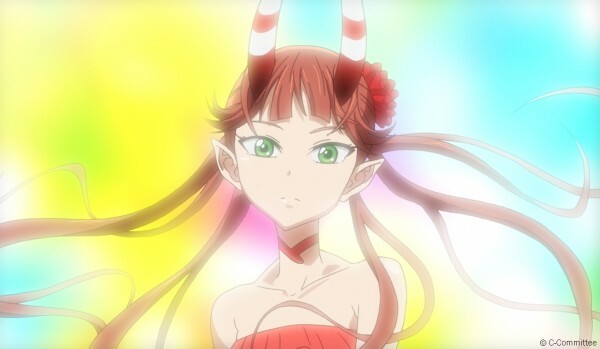 CGI and Anime do not mix, they never have outside of minor effects, and they never will. There is a lot of overuse in some tracks found in this series. I’m not going to withhold that fact. The battle theme is the one that stands out the most with this. Not only does it pop up for combat, but it also pops up in any moment that is even remotely confrontational. However, this is also a really great track that not only fits these scenes, but also stands up really well on its own. However, if you don’t like the particular piece, then you will be really annoyed each time you hear it. Which will be frequently. Honestly speaking, the English dub on this show works fine. I don’t want any of this subs vs. dubs nonsense here. If you want to listen to the Japanese track, it is there for you to do so. It’s not a bad sounding track and neither is the English. 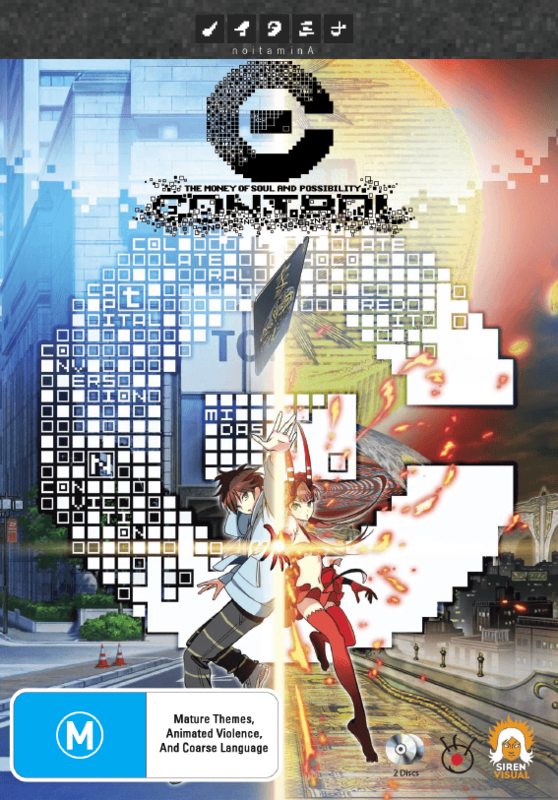 C For Control has a few extras, such as Audio commentaries, Clean opening and ending animations, trailers and the like. The commentaries are definitely worth a listen and if you liked the opening and ending videos, then you should definitely check them out clean. Overall, C For Control was an amazingly enjoyable experience. It was an experience I went in not expecting to have (who wants to learn about economics) and only really expected there to be a slight plotline that was used in order to excuse awesome monster battles. Instead we had an awesome story that had monster battles in it. This, I believe, is what made this series most memorable.